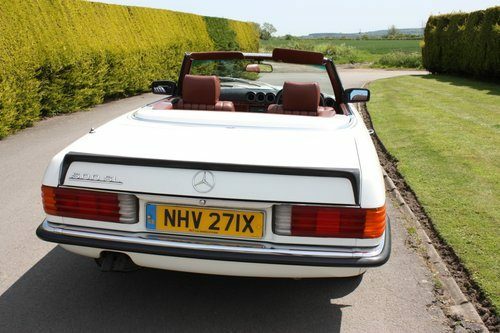 For Sale – 1982 Mercedes 500SL W107 only 32,000 miles -immaculate | Classic Cars HQ. Mercedes Benz 500SL. 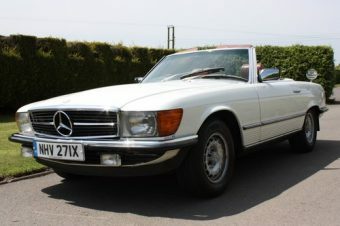 W107, only 32000 miles, direct from a private collection. Supplied with full service history, finished in Classic White (737) with brown leather. In absolutely fantastic condition throughout. Registered 25th September 1984. 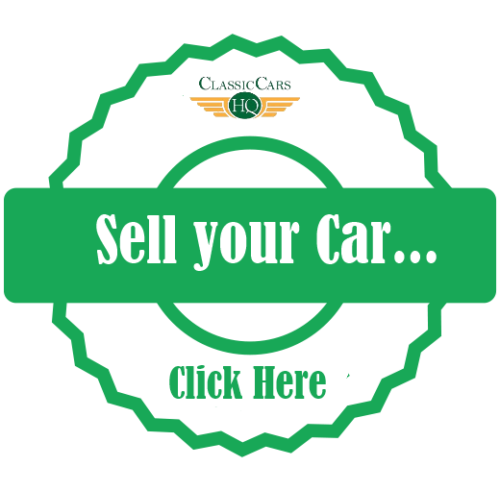 Supplied with Original , service booklet, owners manual, radio booklet in wallet, radio passport. Equipment :- Toolkit, jack, warning triangle, original alloy spare wheel. 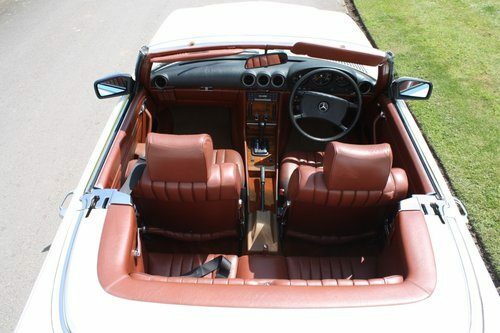 Factory Special Equipment :- 524 Paint code preservation 565 Rear seats used on SL 580 Air Conditoning 592 Heat insulating glass all-round, heated rear window pane.